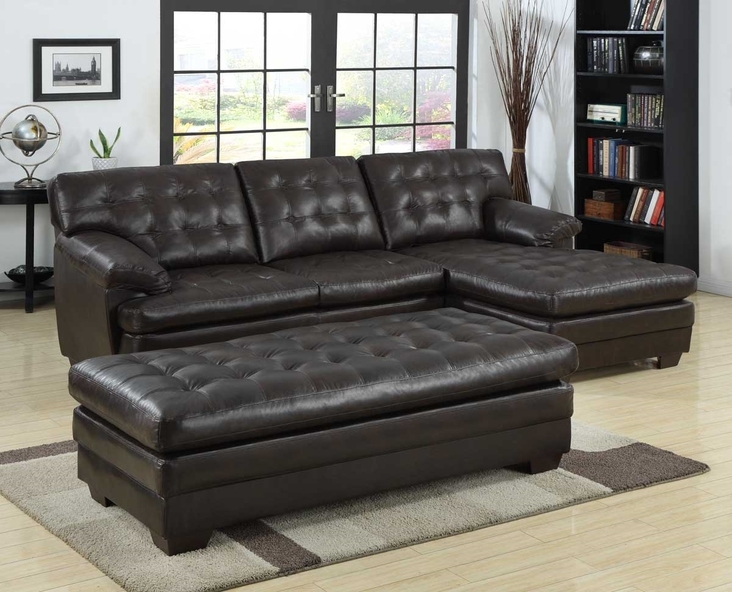 Serious comfort is what the Brooks Collection by Homelegance Inc. offers in this substantially sized upholstered seating group. 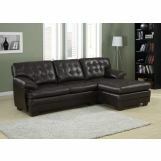 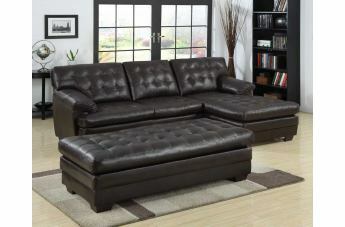 With the Brooks living room collection is channel-tufted, bonded leather covers the pillow arms, overstuffed cushions and is offered in a rich dark brown. 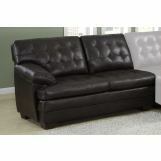 The unique feature of this collection is the wide chaise that extends from the sectional sofa. 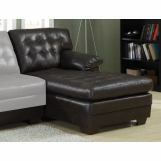 The coordinating ottoman tucks neatly into the face of the sofa, effectively extending your lounging space.